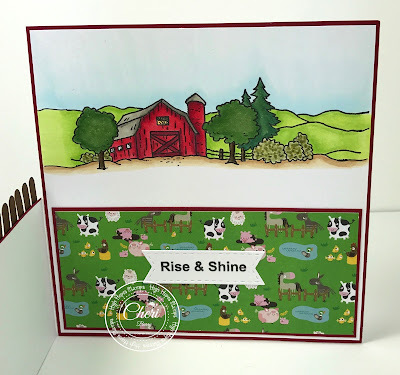 I've had so much fun using the new stamps from the High Hopes Stamps "So Much Cuteness" release this month! The title of the release sure lives up to it's name! 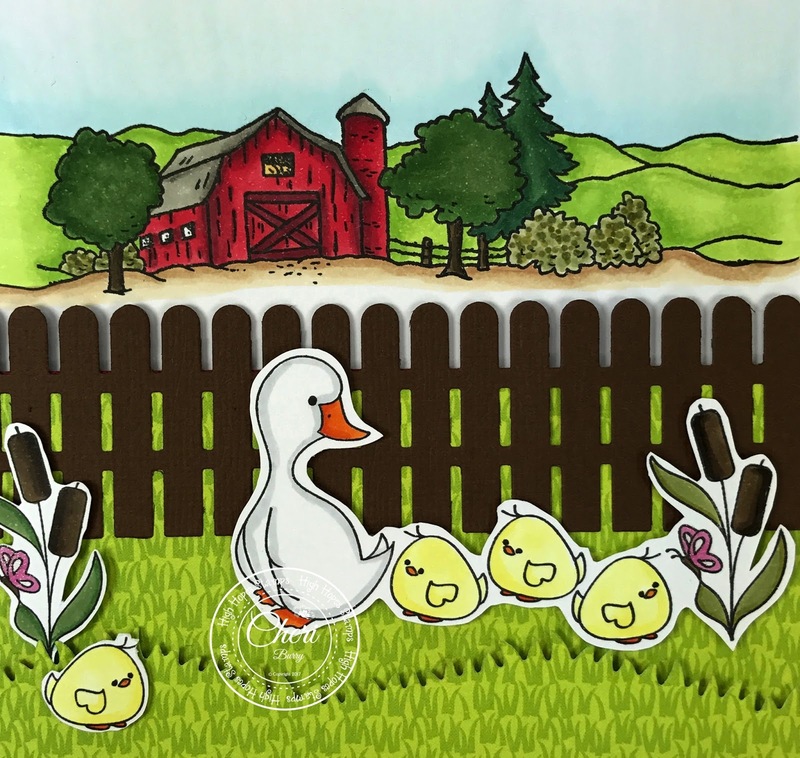 Meet the adorable "Waddles"! Such a cute Mother duck and her little ducklings! 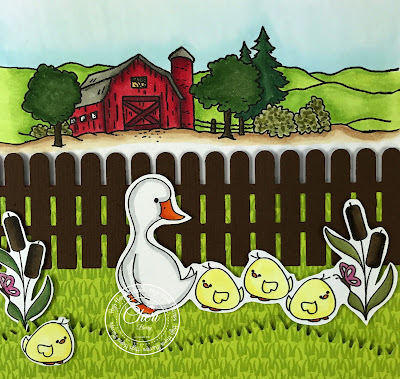 I can just see them "waddling" around the farm! 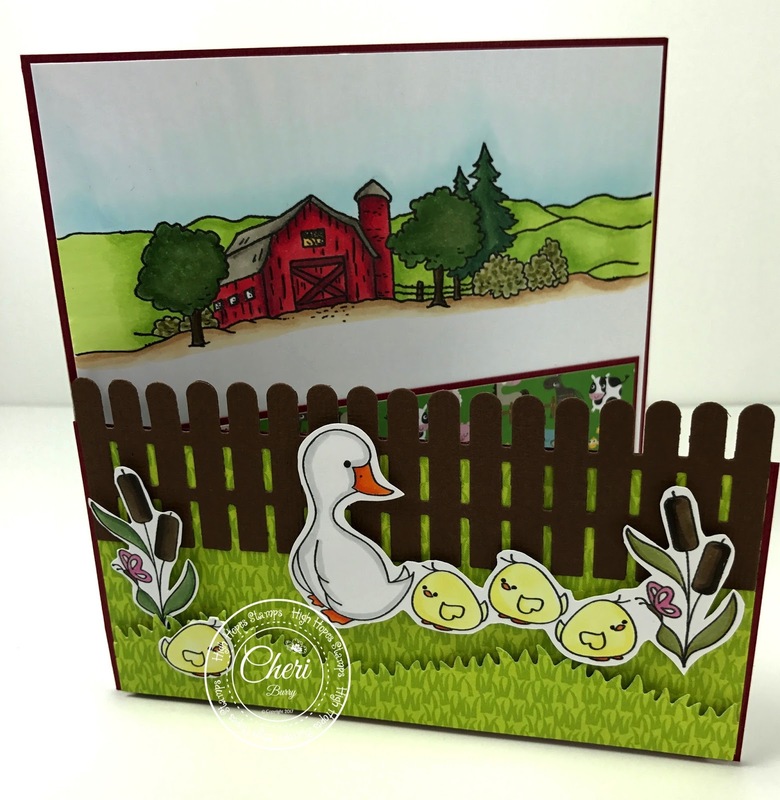 I'm also using the stamp called "Farm Background" on the top of my card to create a little scene for my ducks! I took a 5.5" Square and cut off a portion of the front panel. 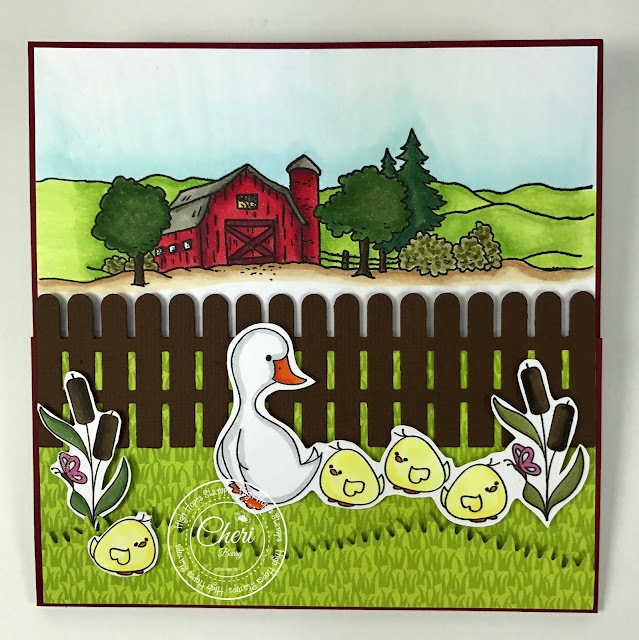 This way I could add a fence and show the Farm Background as well. On the bottom portion of my card I added paper from the Bella Blvd. 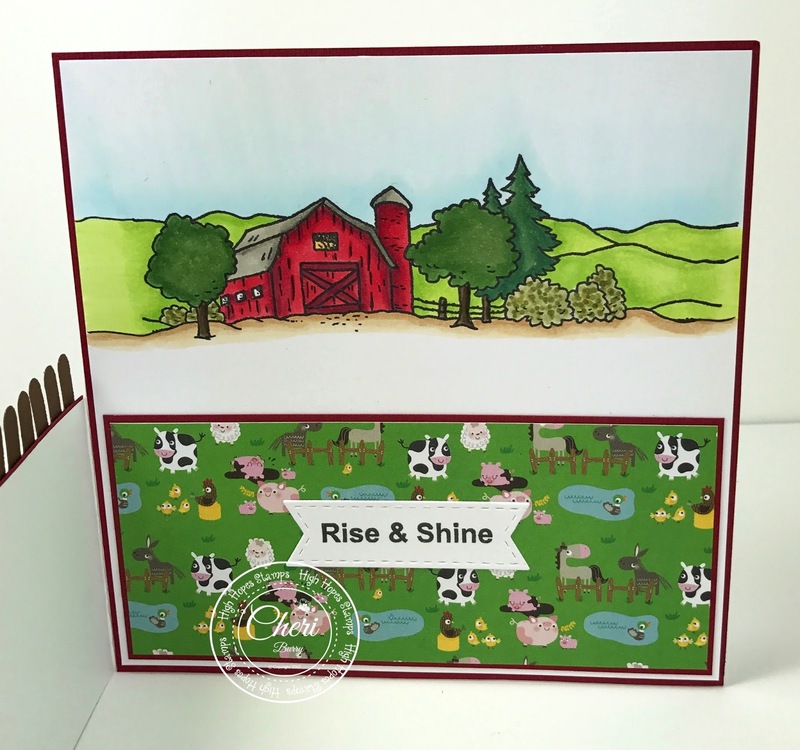 Barn Yard collection and the "Rise & Shine" sentiment.